KALISPELL, MT (KTRK) -- The great state of Montana has been dubbed "Big Sky Country" for its beautiful mountains, scenic routes, crystal clear lakes, and glaciers. This is where Brock Osweiler was groomed to become a franchise quarterback. "You know, Montana is extremely close to my heart. 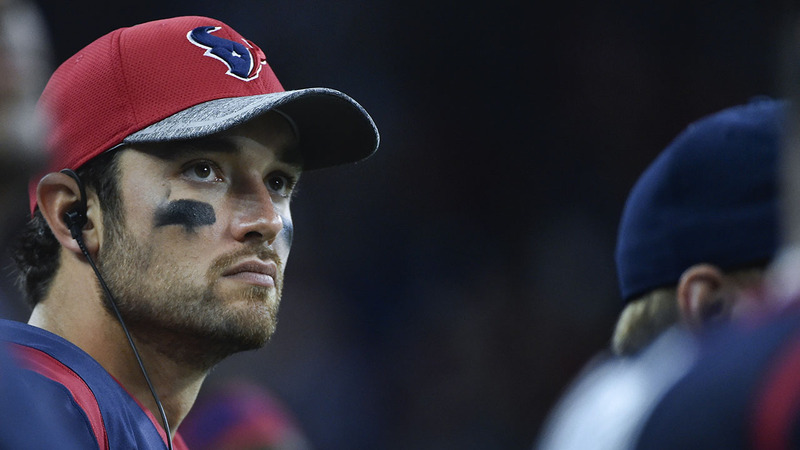 I spent 16 years there," said Texans QB, Brock Osweiler. "I was born in Idaho, but I spent the majority of my time in Kalispell, Montana, so I'll always have Montana very close to myself. Not a lot of athletes come out of Montana, so it's something that makes you extremely proud. And you want to represent your state the right way." At a very young age it was clear, Osweiler had something special. Russell McCarvel took over as head coach at Flathead High School when Brock was just a sophomore. He is now coaching across the state in Helena and remembers arriving at Flathead High School just before the school split. He said Brock was special - even as a sophomore. "When the schools did split the next year, I became the head coach. Brock and I got together and we spent a lot of time that spring discussing team goals and his goals, expectations," said Osweiler's former high school coach, Russell McCarvel. "Even as a junior, he was one of our captains which is pretty rare, but he was already at that point, kind of the face of the team, the face of a leader, even the face of the school. 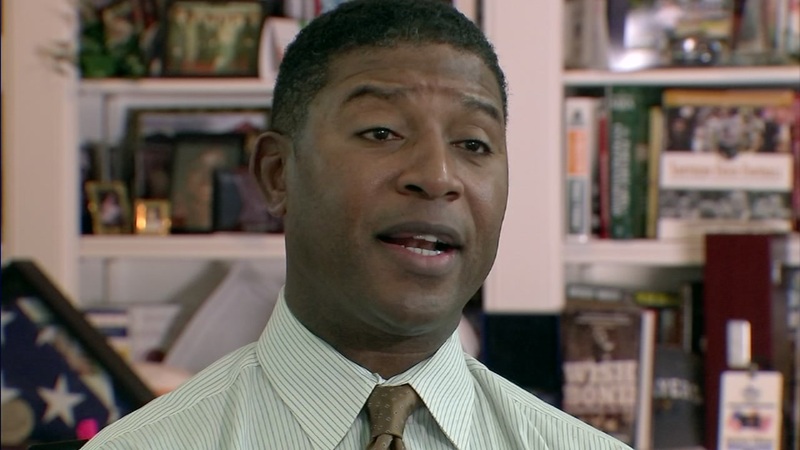 At that time the NFL was a long ways away, but he was obviously going to be a college player." "The first time you meet him, Brock comes across very confident and likeable," said Osweiler's former football teammate, Reed Watkins. "I was two years older than Brock. I graduated two years before him. It doesn't happen very often where a sophomore sits on the back of a bus with the seniors and hangs out with them, but he did. He was definitely a little buddy of mine, but much taller (laughs)." Osweiler's story was just beginning as a Montana sports legend. It all started at Flathead High School where he was walking the halls, acing tests and throwing touchdown passes. He was also the star of the basketball team. "All three years that he played for me, freshman sophomore and junior year he was first team all-state consensus," said Osweiler's former high school basketball coach, Fred Febach. "I mean there was no doubt, he was one of the best players in the entire state. And one of the best players and one of the better players to ever come through Montana." 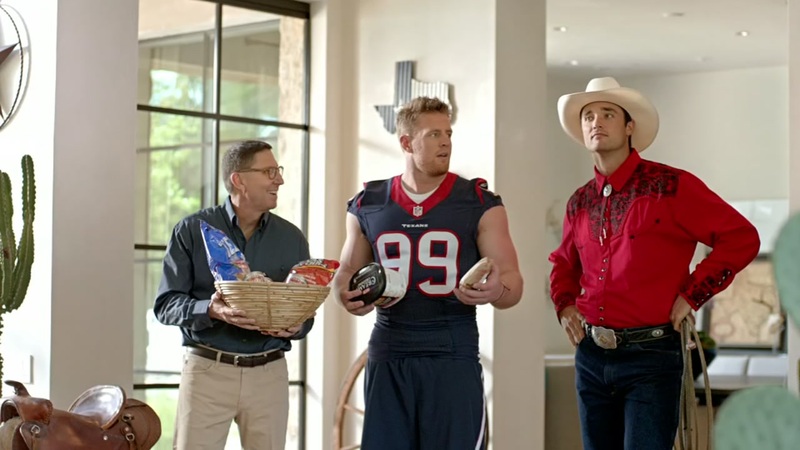 Houston Texans defensive end J.J. Watt and quarterback Brock Osweiler are set to debut their new HEB advertisements next month in the Houston area. "The first time I saw him was in warm-ups cramming as a 7th grader - 6'7, 6'6 dunking - it's pretty impressive," said Osweiler's former football teammate, Charlie Dotson. Spencer Tillman is one busy guy. He is part of the broadcast team which calls the Texans games and he joins the Eyewitness Sports team on Sunday nights for Inside The Game. The Super Bowl veteran played for San Francisco and Houston, and he is just as driven today as he was back then. Everyone you talk with will tell you the same thing about Osweiler, that he is "a leader of men." When he got to the Texans, he was already calling DeAndre, calling everyone; this is something he's been doing since Montana. "He really did, I've heard those stories with the Texans, and I think he even had some guys in Idaho and so on," said McCarvel. "He definitely is a guy who always has wanted to get better and as a quarterback, one of the best ways to get better is you have to get your receivers on the same page." As a sophomore, young Brock had coach McCarvel take a look at his college resume tape which he made himself. "I asked him where he wanted to send it to and he said, 'well Florida State, Alabama State, Washington and Stanford,' you know these are the types of places he is naming off," said McCarvel. "And for most kids from Montana, that's just not realistic. And I was like; yeah that's a good idea. " Kalispell is a town of 36,000 and on a Friday night, Legends Stadium is the place Brock Osweiler became a legend. Coach McCarvel and his former teammates shared some of Osweiler's highlights with Eyewitness Sports including the longest play in Montana state history where Osweiler threw for 99 yards. It is still a record today. Now Houston fans can't wait to see some of that skill and talent on display with the Texans.